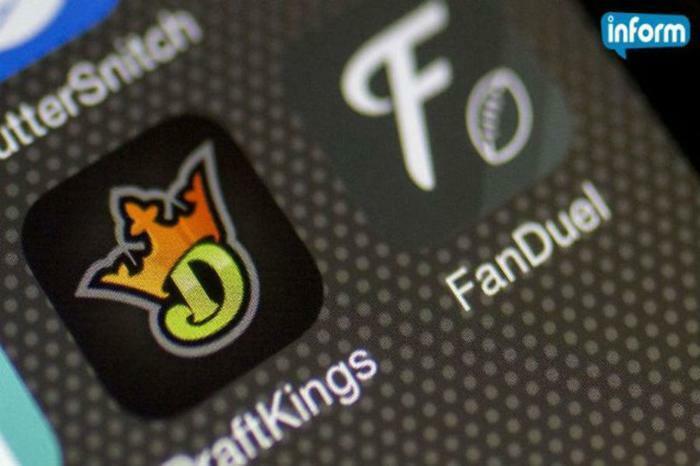 Last week, three sources close to the Federal Trade Commission (FTC) said the agency might try to block a proposed merger between daily fantasy sports (DFS) juggernauts DraftKings and FanDuel. Today, those predictions came true. 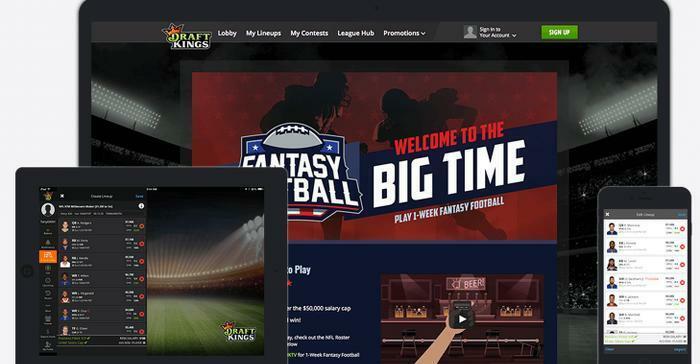 The two major fantasy sports enterprises are under fire after a DraftKings employee admitted last week that he accidentally released information that he wasn't supposed to. But it turns out the same employee won $350,000 on rival FanDuel the previous week. Back in November, DraftKings and FanDuel – the two biggest players in daily fantasy sports – agreed to a merger, saying that their union would better enable them to serve customers. But a recent Recode report shows that the Federal Trade Commission (FTC) isn’t so keen on the deal. As we reported last week, the scrutiny on one-week fantasy sports enterprises has intensified amid allegations of insider trading. After New York Attorney General Eric Schneiderman announced he would investigate the two largest one-week fantasy enterprises, DraftKings and FanDuel, USA Today sports columnist Nate Scott predicted the scandal is “the beginning of the end” for one-week fantasy sports games, saying they're gambling that is legal only because of a loophole in the law. That loophole, he predicts, is about to be closed. But the obituaries may be premature. AdWeek delved into the issue, since the new industry is spending record amounts of ad dollars. The publication says the experts it has consulted all agree – fantasy sports is already too big to fail. In other words, there is too much money at stake. No one is going to be willing to pull the plug on that. "The problem is that everybody has a partnership with these companies; the media, the league, the teams – it's incredible," executive vice president/executive creative director Bob Dorfman of Baker Street Advertising, told AdWeek. By Adweek's counting, there have been more than 60,000 network TV ads for these companies so far this year. It's hard to turn on the TV without seeing one – and the frequency has only increased with the kick-off of the NFL season. Now Congress is showing signs of getting involved. Sen. Bob Menendez (D-NJ) and Rep. Frank Pallone (D-NJ) have asked Federal Trade Commission (FTC) Chairwoman Edith Ramirez to explore and implement safeguards to ensure a fair playing field for fantasy sports enthusiasts who participate in daily or weekly games. The two lawmakers point out they aren't advocating outlawing the wildly popular games, just trying to provide some regulation. Fantasy games are not considered gambling, and in fact are embraced and encouraged by professional sports leagues, because it has been determined they are games of skill, not chance. Participants choose actual players for their fantasy teams and get points – and huge potential payouts – when their team performs well. But critics like USA Today's Scott see it differently. If anyone knows gambling when they see it, you would expect it to be Nevada gaming regulators. So it might be significant that the Nevada Gaming Commission has declared one-week fantasy sports games to be unregulated gambling. In a memorandum, Nevada Gaming Control Board Chairman A.G. Burnett said he asked the state attorney general's office and others to examine enterprises like DraftKings and FanDuel to determine if they were gambling operations. DFS has been considered legal because it had been judged to be a game of skill, rather than a game of chance. But Burnett says the games involve wagering on the collective performance of individuals participating in sporting events. Under current law, Burnett says, if you are going to operate such games – as DraftKings and FanDuel do – then you must be licensed. As a result, all unlicensed daily fantasy sports games – and that's all of them – must cease and desist operating in Nevada – meaning consumers in Nevada can't play. Meanwhile, The New York Times reports the FBI has made inquiries into the operations of daily fantasy sports websites after players of the games and lawmakers leveled charges of insider trading and predatory practices. At least one state attorney general, New York's Eric Schneiderman, has also launched an investigation. Schneiderman has sent letters to the executives of both DraftKings and FanDuel seeking information about company policies when it comes to employees participating in DFS. In a letter to DraftKings CEO Jason Robbins, Schneiderman expressed concern over reports that company employees or agents may have gained an unfair financial advantage in the contests by accessing non-public data. “These allegations, and your company’s subsequent statement, raise legal questions relating to the fairness, transparency, and security of DraftKings and the reliability of representations your company has made to customers,” Schneiderman wrote. Both DraftKings and FanDuel, which are among the biggest advertisers on television, have denied employees unfairly benefited from insider information. But both companies have altered policy to bar employees from participating in DFS games on rival websites. It's been an eventful few weeks for daily fantasy sports enterprises like DraftKings and FanDuel. 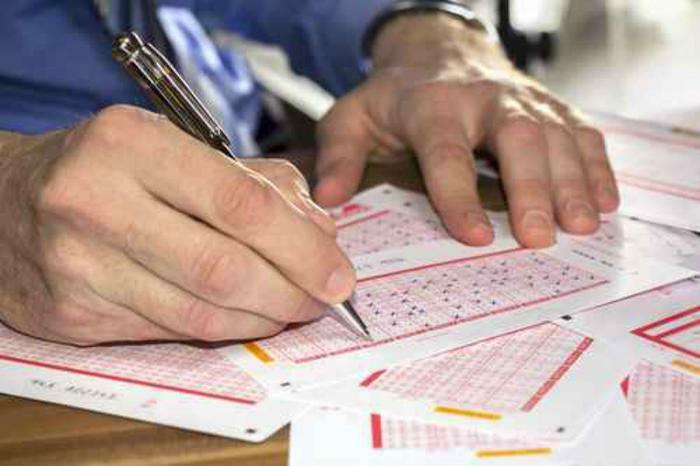 Now, there's concern that these highly popular games could be cutting into the revenue consumers spend on state-sponsored gambling – lotteries. Among the 15% of U.S. adults who claim to have played daily fantasy sports this season, 61% said what they spend on fantasy games has reduced what they wager on lottery games such as Powerball, Mega Millions, Scratch, or Instant Games. It turns out the people who play fantasy sports games are typically gamblers. In fact, 84% of fantasy sports players said they played a lottery game in the last month. Leger says that's more than twice the level of all American adults. "Specific to state lotteries, this is an external factor contributing to a perfect storm," said Lance Henik, Senior Account Manager at Leger. "It appears Daily Fantasy Sports is serving up a double economic whammy for state governments right now." said Simon Jaworski, Senior Vice President at Leger. "These fantasy behemoths are not currently filling the local coffers with tax, due to their private ownership, which when coupled with potentially lower tax revenue from the DFS player's reduced lottery and casino spending, it is certainly a situation worth monitoring." The two largest daily fantasy sports (DFS) enterprises, DraftKings and FanDuel, have agreed to merge. The transaction is expected to close next year, the companies said in a release. The merger was not unexpected. Both companies have spent the last 18 months in the crosshairs of various state attorneys general, most notably Eric Schneiderman of New York, who sued the companies for violating the state's gambling laws. The companies said the merger will enable them to better serve customers, who pay money to enter a team of actual sports players, winning points based on how those players perform in actual games. Winners can receive large cash prizes. But the merger undoubtedly will help both enterprises control costs, which rose when they were forced to mount legal defenses in a number of states and later on to lobby various state legislatures for legal exemptions from gambling laws. The companies from the beginning maintained they were exempt from gambling laws because their games were classified as games of skill, not chance. Many states took issue with that interpretation. If you watched any NFL games over the weekend – or any television for that matter – you no doubt were bombarded with commercials for the two major one-week fantasy sports enterprises, DraftKings and FanDuel. Fantasy sports – particularly fantasy football – has been around for years. One-week fantasy sports is a relatively new phenomenon and has enjoyed explosive growth. Instead of picking your fantasy team for an entire season and getting a small cash prize at the end if you win, DraftKings and FanDuel allow players to choose different teams each week, earning sometimes significant cash prizes if their teams compile the most points. Players may play one week or every week. Wait a minute, I know what you're probably thinking. Isn't this illegal gambling? It might seem like it, but, so far, no one who enforces laws thinks so. The difference between betting $50 on the Cincinnati Bengals to cover the spread against the Oakland Raiders and putting up $50 to play your fantasy team is that fantasy football is considered a game of skill, not chance. According to FanDuel, as long as your are at least 18 years old and live in either the U.S. or Canada, you can legally pick your teams and place your bets. Pete Rose may have been banned from Major League Baseball for betting on baseball games, but for other sports leagues, whether professional athletes should be allowed to play one week fantasy games remains a murky subject. The leagues, meanwhile, are all in, as are sports media. “We've even partnered up with companies like NBC, Sports Illustrated, Comcast, Sporting News, and plenty of others,” FanDuel says on its website. Instead of picking a particular team to beat another team, fantasy players assemble a “team” of actual players, winning points for how well those athletes perform in a particular game. In the case of football, participants “draft” a quarterback, two running backs, three wide receivers, a tight end, a kicker, and a team defense. There is a fairly complicated formula that assigns points based on how each player performs in a game. For example, if Tom Brady was your quarterback Sunday, you would have done quite well, earning eight points for Brady's two TD passes and 14.32 points for his 358 passing yards and no interceptions. Each position has a similar formula to produce points. The highest point total in the league – the players in a particular group – wins the money put up by the rest of the participants, with FanDuel or DraftKings taking a small cut. To prevent participants from “drafting” the best players at every position, professional players are assigned a contract value, with the best-performing players having the highest values. Fantasy players have a budget, or salary cap, of $60,000 to assemble a team. If you want to draft Tom Brady at quarterback, you'll probably have to choose a lesser known, or sleeper player at one or two of the other positions to stay under the cap. If it all sounds like a male sports geek obsession, it isn't. Leger, The Research Intelligence Group, estimates nearly one-quarter of this year's NFL Fantasy Football players are women, a steady climb over the past few years. 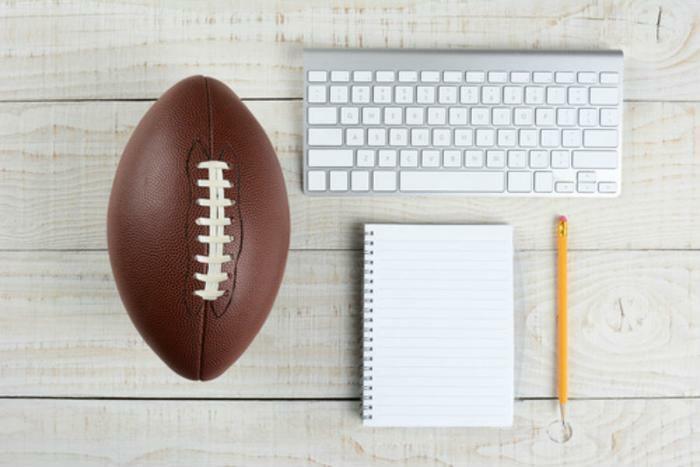 "We're seeing a small, steady trend showing the rate that women are playing Fantasy Football is growing faster than that among Fantasy Football players in general," said Lance Henik, Senior Account Manager at Leger. "According to the Fantasy Sports Trade association, approximately 20% of all fantasy players in 2011/2012 season were women. The results from our 2013 poll showed 23% of Fantasy Football players were women, with our latest poll results currently showing that 25% of them are women." As the 2015 NFL season kicked off earlier this month, both DraftKings and FanDuel saturated the airwaves, competing for even more participants. According to iSpot.TV, Draft Kings spent $81 million in ads between August 1 and mid September, more than the traditional sponsors of NFL games, beer companies, carmakers, and athletic shoe companies. Season-long fantasy football leagues are mostly played for fun, a way for sports fans to enjoy the season. As the commercials make clear, one week leagues are all about the money – and there's a lot of it. 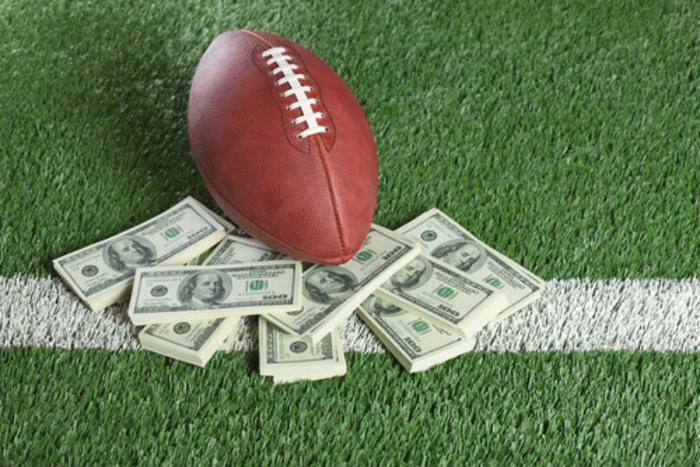 In its TV commercials over the weekend, DraftKings boasted it would pay out more than $1 billion for the season. It can cost as little as $1 to field a team for the week, but the potential payout for that amount is very small. Players who pay more can potentially earn more – but can lose more as well. Just like Nevada, the state of New York has found daily fantasy sports (DFS) to be illegal gambling and ordered a halt within the state. But unlike Nevada, with its much smaller population of players, New York makes up a significant source of players, pumping money into major DFS enterprises like FanDuel and Draft Kings. In letters to the two companies, obtained by ESPN, New York Attorney General Eric Schneiderman said his office's review of DraftKings' and FanDuels' games found them to constitute illegal gambling. DFS was determined to be a “game of skill” under a 2006 law regulating gambling, shielding it from regulation under the law. But Schneiderman says the facts suggest otherwise – people wager things of value on outcomes they cannot control. That, he says, is gambling. A month ago, the Nevada gaming commission reached the same conclusion. In a memorandum, Nevada Gaming Control Board Chairman A.G. Burnett said he asked the state attorney general's office and others to examine enterprises like DraftKings and FanDuel to determine if they were gambling operations. That seems to suggest the way may be open to reclassify DFS so that governments can regulate it, and perhaps get a piece of the action. With its association with major media and sports leagues, DFS generates billions of dollars -- enough for everyone, it would seem. Despite New York Attorney General Eric Schneiderman's declaration this week that daily fantasy sports (DFS) is illegal gambling, millions of consumers will field their fantasy NFL teams this weekend. The battle over DFS and whether it is a game of skill or chance will likely go on for some time. In the meantime, millions – maybe billions – of dollars will change hands. Money may, in fact, be the root of the controversy. The two major DFS enterprises, DraftKings and FanDuel, bring in an enormous amount of money from players, and they spread it around. The two companies have inked deals with professional sports leagues and this year they became the largest advertisers on network television, eclipsing even brewers. After Schneiderman's broadside this week, ADWEEK speculated that DFS enterprises may have made themselves a target by spending too much on advertising. “DFS companies have been launching ads at sports fans from every direction,” ADWEEK reported. “Basically, every major American sports venue is covered in signage. Segments are sponsored on ESPN, the NFL's RedZone Channel, and anywhere else sports is discussed on TV. There are also podcasts, radio shows and digital banners promising 'real money' for winners. DraftKings even plasters the PATH train that connects New Jersey and New York." What happens next will likely depend on whether DFS' current exemption under gambling laws as “games of skill” holds up. Recently interviewed by CNBC on the subject, Hall of Fame quarterback Joe Namath wasn't buying the "game of skill" argument. Let's take Namath's questions and apply it to professional golf. A pro golfer pays a small fee to enter a tournament, in hopes of winning a large cash prize. But no one thinks that's gambling because the pro golfer is counting on his skill to put him in the money. So the question should be asked – are people who play DFS in the same league, in terms of skill, as professional golfers? How about poker players? Winning at poker inarguably requires a large amount of skill, yet it is classified as gambling. More than likely, these questions will be decided in court. Meanwhile, Congress is about to get involved. Rep. Frank Pallone (D-NJ) says the Energy and Commerce Committee will hold hearings, especially since the Federal Trade Commission (FTC) has said it has the authority to investigate the industry. And Pallone says he thinks any probe should go beyond DraftKings and FanDuel. Pallone suggests any regulations also cover the conduct of the major professional sports leagues and their personnel, many of whom, he says, have financial interests in DFS. Pallone and Sen. Robert Menendez (D-NJ) held a news conference last month outside MetLife Stadium to call attention to what they called “the hypocrisy of the professional sports leagues” in opposing sports betting while supporting daily fantasy sports. Currently, there's a stand-off between regulators in Nevada and New York and major daily fantasy sports (DFS) enterprises. The states claim these games are gambling operations that require a license. The companies – primarily FanDuel and DraftKings – insist they provide games of skill. While both arguments make their way through the courts, a veteran sports book operation has signaled which way it thinks the argument will go. Vic Salerno, who has guided over 100 licensed book operations in Nevada, has applied to Nevada regulators to offer a variety of fantasy sports contests through Nevada casinos. His new company, US Fantasy (USF), is likely to emerge as a legal alternative to FanDuel and DraftKings, while legal issues in New York are resolved. Pending approval by Nevada regulators, these games would be offered as an intra-state skill game utilizing pari-mutuel systems. USF says its format is specifically designed for regulatory oversight. “US Fantasy immediately provides a practical solution to the current issues surrounding DFS,” the company said in a release. DFS has, to date, hit roadblocks in just two states. But USF claims California, Florida, Massachusetts, Pennsylvania, and others are now actively seeking a regulated consumer protected fantasy sports solution. USF says its games can be played through traditional terminals at brick and mortar facilities, or with mobile devices and online. It says it has designed-in consumer protections, with age verification, money laundering controls, and segregated player cash accounts. Where possible, the company said it hopes to co-mingle contest pools among the states to create mega-contests. "Our unique contests figure to dramatically grow the popularity of fantasy sports in Nevada,” Salerno said. “We strongly anticipate increased customer traffic and revenue for the host casino properties and a taxable benefit for the State." Left unsaid is Salerno's belief that his licensed operation could be poised to become the new face of daily fantasy sports in the U.S.
And as to the question of whether daily fantasy sports will be found to be gambling, Rutgers University gambling expert Lia Nower, director of the Center for Gambling Studies, says the answer is fairly obvious. In fact, Major League Baseball, the National Hockey League, and Major League Soccer are all major investors in DraftKings. Last year, the National Basketball Association signed a four-year agreement with FanDuel that included an equity stake. “Isn’t it ironic, they ban Pete Rose for life from baseball and take away his chances at the Hall of Fame for gambling, but MLB can invest millions in, essentially, the same activity and hope for a profit,” said Nower. But FanDuel and DraftKings will be far from losers if DFS is declared to be gambling. If sports betting becomes legal, Nower says they’re positioned to make billions. Many daily fantasy sports (DFS) players who live in New York were able to field teams over the weekend, as an appellate court granted an emergency injunction, staying a judge's order from earlier in the day that appeared to signal the end of these games. Confused? You're hardly to blame. With so much money at stake, the DFS enterprises of Fan Duel and DraftKings will pull out all the legal stops to keep the games alive. This high-stakes game is far from over. The DFS games, incredibly popular nationwide, were declared illegal gambling by New York Attorney General Eric Schneiderman, who filed suit to enforce a cease and desist order. Early in the day, it appeared that he had won. New York Supreme Court Justice Manuel J. Mendez granted Schneiderman's motion to enjoin DraftKings and FanDuel “from doing business in the State of New York, accepting entry fees, wagers or bets from New York consumers in regards to any competition, game or contest run on” their websites. "We are pleased with the decision, consistent with our view that DraftKings and FanDuel are operating illegal gambling operations in clear violation of New York law,” Schneiderman said in the aftermath of Mendez's decision. I have said from the beginning that my job is to enforce the law, and that is what happened today." But the celebration might have been premature. FanDuel's legal team raced to an appeals court, which suspended Schneiderman's victory, at least for the time being. And be assured, this matter will be throughly hashed out in court. In the meantime, players who have money deposited in FanDuel can continue to play games. However, the company said it is not accepting new deposits of funds until a final decision on the legality of the enterprise is reached. Nevada has also officially determined that both FanDuel and DraftKings are running unlicensed gambling operations, but Nevada has far fewer players than New York. The loss of revenue from the Empire State would hurt both companies, should Schneiderman's ban ultimately prevail. Schneiderman went to court against both DraftKings and FanDuel in mid November, claiming the two companies constitute illegal gambling under state law. Schneiderman accused both companies of winking at the law, maintaining in public that they run games of skill, but privately evoking the profits of gambling to investors. 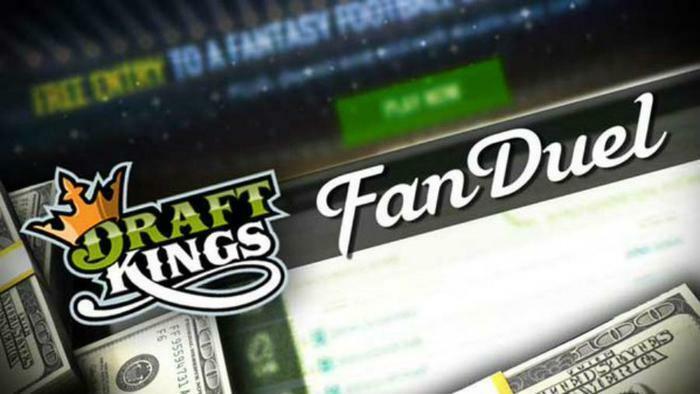 In an opinion requested by two state legislators, Illinois Attorney General Lisa Madigan says she believes daily fantasy sports games provided by enterprises like FanDuel and DraftKings constitute illegal gambling, in violation of Illinois law. While not carrying any legal force, the attorney general's opinion provides a clear indication that the state government would have grounds to stop the games in Illinois, joining New York and Nevada, though the latter has ruled games may seek licenses. The opinion was sought by two members of the Illinois legislature who sit on the Criminal Committee. Rep. Elgie Sims, Jr., is chairman of the committee and Rep. Scott Drury is vice-chairman. “It is my opinion that the daily fantasy sports contests offered by FanDuel and DraftKings clearly constitute gambling under subsection 28-1(a) of the Criminal Code of 2012 and that the exemption set forth in subsection 28-1(b) does not apply,” Madigan wrote. Unlike New York, however, Illinois may move to change state law to make the highly popular games legal. Madigan disputes the claim that daily fantasy sports are protected under a 2006 federal law, pointing out that law specifically leaves it up to the states to determine whether the games are, in fact, gambling. Madigan notes that legislation is currently pending in both Illinois legislature chambers to create a new act – the Fantasy Contests Act. The proposed law, Madigan says, would specifically exempt fantasy contests from the general prohibition against gambling. Without passage of the law, says Madigan, Illinois residents playing daily fantasy sports games are breaking the law. “Absent legislation specifically exempting daily fantasy sports games from the gambling provisions, it is my opinion that daily fantasy sports contests constitute illegal gambling under Illinois law,” Madigan concluded. In October, Nevada ordered a halt to daily fantasy sports games in the state, ruling that they are unlicensed gambling. The following month, New York Attorney General Eric Schneiderman obtained a court order prohibiting New Yorkers from playing the games, though FanDuel successfully argued for a stay, pending an appeal. Under fire from seemingly all sides, daily fantasy sports (DFS) enterprises DraftKings and FanDuel are reportedly dropping all college games and will go pro. Sports network ESPN quotes statements from both companies, saying that extensive discussions with the NCAA led them to take this voluntary action. Statements to ESPN by the two companies say the last college games they will offer will be the men's NCAA Final Four and Championship, played this weekend and Monday. The long and bitter war between the two major daily fantasy sports (DFS) enterprises and the state of New York has reached a peaceful conclusion. New York Attorney General Eric Schneiderman has reached separate $6 million settlements with both companies, which run games where players can win money based on the performance of actual players on their “fantasy” teams. Last fall, as DFS games were reaching their height of popularity, Schneiderman sued both DraftKings and FanDuel, claiming both were in violation of New York's gambling laws. The two companies fought the suits, saying they offered games of skill, not chance. In the end, the settlement revolves around Schneiderman's charges that both companies engaged in false and deceptive advertising. The complaint alleged both companies misled novice players about their chances of winning, giving “false and misleading” statistics about the odds. During the protracted litigation, Schneiderman secured an injunction preventing both companies from offering games to New York residents. Between March and August, the companies were not allowed to accept money from New Yorkers. In agreeing to terms, both DraftKings and FanDuel agreed to change marketing practices, providing clear disclosure of terms and conditions and information about expected performance. The issue of whether DFS violates New York's gambling laws went away in August, when New York enacted legislation that specifically says DFS is a legal activity. Most other states have enacted similar laws. Fantasy sports began as an informal hobby among sports enthusiasts. These informal “leagues” lasted an entire season, with participants getting points each week based on how their players performed in real games. DFS made it a professional enterprise, allowing participants to form different teams daily or weekly, winning money if their “team” won. Critics said there was little difference between that and betting on the outcome of a game. As daily fantasy sports (DFS) became incredibly popular and profitable, two DFS enterprises, FanDuel and DraftKings, emerged as the biggest players. In the fall of 2015, their TV ads were everywhere. The two companies spent more money on advertising than beer companies as they both competed for players. It was also about that time that a number of states began suing DraftKings and FanDuel, claiming they were violating gambling laws. Suddenly, both companies found themselves besieged by critics. So these competing rivals got to be a little friendlier. No doubt their legal teams compared notes and their top executives chatted from time to time. Their lobbyists probably worked together to persuade various state legislatures to exempt DFS from gambling laws. Now, it appears critics of FanDuel and DraftKings may have driven them into one another's arms, with various publications reporting the two companies are poised to merge with each other. Bloomberg News quotes sources familiar with the discussions as saying DraftKings co-founder Jason Robins will lead the combined enterprises while FanDuel co-founder Nigel Eccles will serve as chairman of the board. Neither company has commented on the reports. The investment community has been cheering for a possible merger for some time, pointing out that the two companies have nearly identical games that could neatly fit under one operation. A combined company would not need to spend nearly as much on advertising. Like any potential merger, there would likely be anti-trust concerns. The two companies reportedly control about 90% of the DFS market. In 2015, there were more than 57 million people in the U.S. and Canada playing DFS games, according to the Fantasy Sports Trade Association. However, more recent research suggests the growth of DFS is slowing and that there are fewer new players choosing to participate. That could be strong incentive for both DraftKings and FanDuel to join forces, with savings on ad spending going straight to the bottom line.